Gout is a condition which can affect a variety of joints. In the world of podiatry, this is most often in the ankle joint or the big toe joint. Gout is related to the metabolism of proteins in the body. In some people, the body produces an excessive amount of uric acid that the kidneys are too overwhelmed to remove from your system. In others, the amount of uric acid produced is normal, but the kidneys are under-excreting. When a gout attack comes on, it is very sudden, without any recollection of injury, and is so acutely painful that wearing a sock or having a bedsheet on the skin can be excruciating. At the time of these attacks, the uric acid in the blood has moved into the affected joint, meaning that there are uric acid crystals which cause a great deal of inflammation and pain. 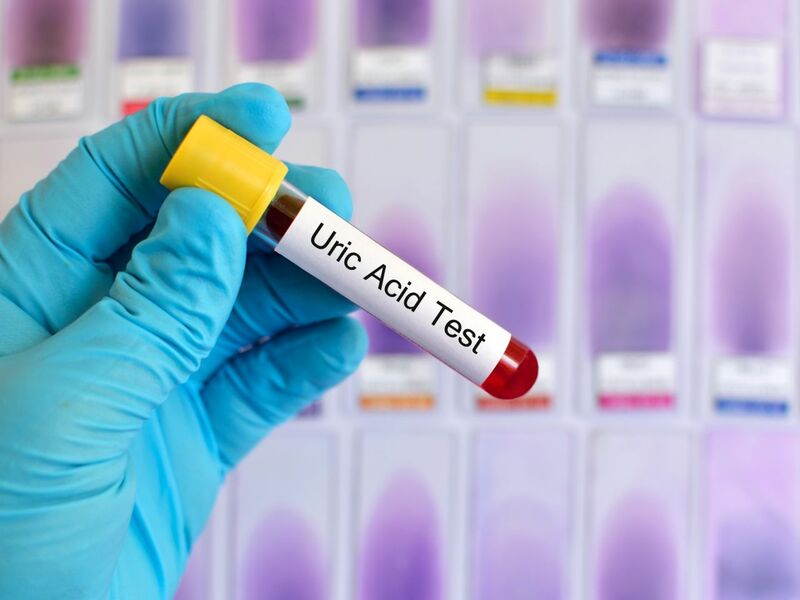 Because the uric acid is now settled into the joints, a blood test in most cases will reveal normal uric acid levels. For this reason, during an attack, the best chance we have at definitively diagnosing gout is by taking a sample of joint fluid and analyzing it for crystals. In a fair number of cases, a person will experience repeated gout attacks over years of time. In order to treat this condition best, a full evaluation with a primary care doctor or rheumatologist is required. They are able to determine each patient’s need for chronic medication, which aims to reduce the buildup of uric acid in the joints. With less attacks, this means fewer visits to the foot doctor for injections/medications/etc. While gout causes extreme joint pain, it isn’t the only cause. Degenerative arthritis (DJD) as well as systemic types of arthritis (rheumatoid and psoriatic) can also be a source of joint pain. While these conditions don’t frequently cause as short of an onset of pain, there can be some activities which seem to suddenly aggravate the condition. X-rays help to determine what type of arthritis is at play, but blood work is another way to look into this. If you are experiencing joint pain, don’t live with it! There are many things that can be done to improve your condition and help you stay active and healthy. Call the doctors at Prairie Path Foot and Ankle Clinic for an appointment today.